Japan is famous for its tasty snacks and treats. 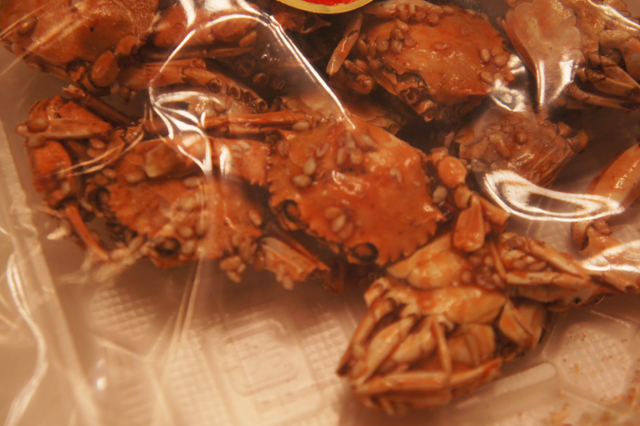 However, after my first bite and closer observation, I realized that this company decided that baby crabs should be SWEET and have sesame seeds with some sort of caramel sweet sauce. 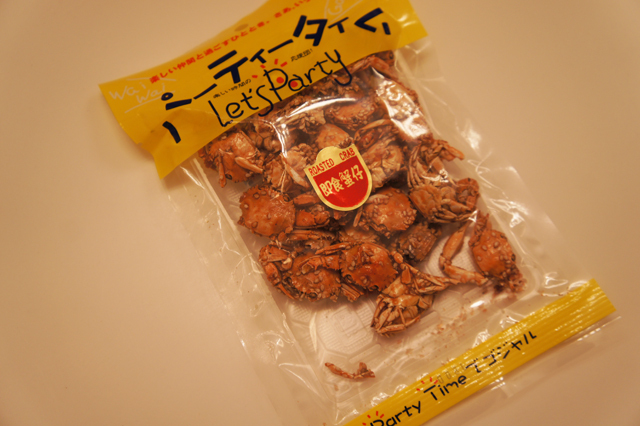 Let me just say that these crab snacks look and taste like $hit.